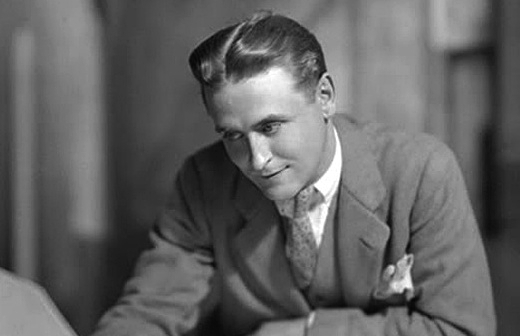 On October 27th of 1924, 28-year-old F. Scott Fitzgerald sent a letter to his editor, Maxwell Perkins, along with an early draft of his new novel, tentatively titled The Great Gatsby. That missive, and Perkins's delighted but constructively critical response, can be enjoyed below. Fitzgerald took his editor's suggestions on board, immediately made some major revisions to the story, and in April of 1925, six months after the initial letter had been sent, The Great Gatsby as we now know it was published. The story originally sent to Perkins has since been published in its entirety, titled Trimalchio. I should suggest the following contract. The book is only a little over fifty thousand words long but I believe, as you know, that Whitney Darrow has the wrong psychology about prices (and about what class constitute the bookbuying public now that the lowbrows go to the movies) and I'm anxious to charge two dollars for it and have it a full size book. Of course I want the binding to be absolutely uniform with my other books—the stamping too—and the jacket we discussed before. This time I don't want any signed blurbs on the jacket—not Mencken's or Lewis' or Howard's or anyone's. I'm tired of being the author of This Side of Paradise and I want to start over. About serialization. I am bound under contract to show it to Hearsts but I am asking a prohibitive price, Long hates me and it's not a very serialized book. If they should take it—they won't—it would put of publication in the fall. Otherwise you can publish it in the spring. When Hearst turns it down I'm going to offer it to Liberty for $15,000 on condition that they'll publish it in ten weekly installments before April 15th. If they don't want it I shan't serialize. I am absolutely positive Long won't want it. After you've read the book let me know what you think about the title. Naturally I won't get a nights sleep until I hear from you but do tell me the absolute truth, your first impression of the book & tell me anything that bothers you in it. Hotel Continental, St. Raphael, Sun. By now you've received the novel. There are things in it I'm not satisfied with in the middle of the book—Chapters 6 & 7. And I may write in a complete new scene in proof. I hope you got my telegram. The only other titles that seem to fit it are Trimalchio and On the Road to West Egg. I had two others Gold-hatted Gatsby and The High-bouncing Lover but they seemed too light. We leave for Rome as soon as I finish the short story I'm working on. Now deal with this question: various gentlemen here don't like the title,—in fact none like it but me. To me, the strange incongruity of the words in it sound the note of the book. But the objectors are more practical men than I. Consider as quickly as you can the question of a change. I think you have every kind of right to be proud of this book. 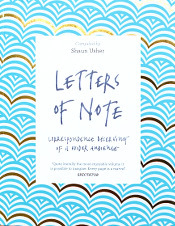 It is an extraordinary book, suggestive of all sorts of thoughts and moods. You adopted exactly the right method of telling it, that of employing a narrator who is more of a spectator than an actor: this puts the reader upon a point of observation on a higher level than that on which the characters stand and at a distance that gives perspective. In no other way could your irony have been so immensely effective, nor the reader have been enabled so strongly to feel at times the strangeness of human circumstance in a vast heedless universe. In the eyes of Dr. Eckleberg various readers will see different significances; but their presence gives a superb touch to the whole thing: great unblinking eyes, expressionless, looking down upon the human scene. It's magnificent! One is that among a set of characters marvelously palpable and vital—I would know Tom Buchanan if I met him on the street and would avoid him—Gatsby is somewhat vague. The reader's eyes can never quite focus upon him, his outlines are dim. Now everything about Gatsby is more or less a mystery i.e. more or less vague, and this may be somewhat of an artistic intention, but I think it is mistaken. Couldn't he be physically described as distinctly as the others, and couldn't you add one or two characteristics like the use of that phrase "old sport",—not verbal, but physical ones, perhaps. I think that for some reason or other a reader—this was true of Mr. Scribner and of Louise—gets an idea that Gatsby is a much older man than he is, although you have the writer say that he is little older than himself. But this would be avoided if on his first appearance he was seen as vividly as Daisy and Tom are, for instance;—and I do not think your scheme would be impaired if you made him so. The other point is also about Gatsby: his career must remain mysterious, of course. But in the end you make it pretty clear that his wealth came through his connection with Wolfsheim. You also suggest this much earlier. Now almost all readers numerically are going to be puzzled by his having all this wealth and are going to feel entitled to an explanation. To give a distinct and definite one would be, of course, utterly absurd. It did occur to me though, that you might here and there interpolate some phrases, and possibly incidents, little touches of various kinds, that would suggest that he was in some active way mysteriously engaged. You do have him called on the telephone, but couldn't he be seen once or twice consulting at his parties with people of some sort of mysterious significance, from the political, the gambling, the sporting world, or whatever it may be. I know I am floundering, but that fact may help you to see what I mean. The total lack of an explanation through so large a part of the story does seem to me a defect;—or not of an explanation, but of the suggestion of an explanation. I wish you were here so I could talk about it to you for then I know I could at least make you understand what I mean. What Gatsby did ought never to be definitely imparted, even if it could be. Whether he was an innocent tool in the hands of somebody else, or to what degree he was this, ought not to be explained. But if some sort of business activity of his were simply adumbrated, it would lend further probability to that part of the story. 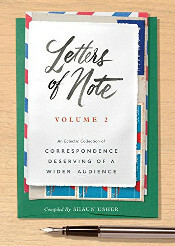 There is one other point: in giving deliberately Gatsby's biography when he gives it to the narrator you do depart from the method of the narrative in some degree, for otherwise almost everything is told, and beautifully told, in the regular flow of it,— in the succession of events or in accompaniment with them. But you can't avoid the biography altogether. I thought you might find ways to let the truth of some of his claims like "Oxford" and his army career come out bit by bit in the course of actual narrative. I mention the point anyway for consideration in this interval before I send the proofs. The general brilliant quality of the book makes me ashamed to make even these criticisms. The amount of meaning you get into a sentence, the dimensions and intensity of the impression you make a paragraph carry, are most extraordinary. The manuscript is full of phrases which make a scene blaze with life. If one enjoyed a rapid railroad journey I would compare the number and vividness of pictures your living words suggest, to the living scenes disclosed in that way. It seems in reading a much shorter book than it is, but it carries the mind through a series of experiences that one would think would require a book of three times its length. The presentation of Tom, his place, Daisy and Jordan, and the unfolding of their characters is unequalled so far as I know. The description of the valley of ashes adjacent to the lovely country, the conversation and the action in Myrtle's apartment, the marvelous catalogue of those who came to Gatsby's house,—these are such things as make a man famous. And all these things, the whole pathetic episode, you have given a place in time and space, for with the help of T. J. Eckleberg and by an occasional glance at the sky, or the sea, or the city, you have imparted a sort of sense of eternity. You once told me you were not a natural writer—my God! You have plainly mastered the craft, of course; but you needed far more than craftsmanship for this. P.S. Why do you ask for a lower royalty on this than you had on the last book where it changed from 15% to 17½% after 20,000 and to 20% after 40,000? Did you do it in order to give us a better margin for advertising? We shall advertise very energetically anyhow and if you stick to the old terms you will sooner overcome the advance. Naturally we should like the ones you suggest better, but there is no reason you should get less on this than you did on the other. Your wire & your letters made me feel like a million dollars—I'm sorry I could make no better response than a telegram whining for money. But the long siege of the novel winded me a little & I've been slow on starting the stories on which I must live. I think all your criticisms are true. (a) About the title. I'll try my best but I don't know what I can do. Maybe simply "Trimalchio" or "Gatsby." In the former case I don't see why the note shouldn't go on the back. (c) Gatsby's business affairs I can fix. I get your point about them. (e) But his long narrative in Chap VIII will be difficult to split up. Zelda also thought I was a little out of key but it is good writing and I don't think I could bear to sacrifice any of it. (f) I have 1000 minor corrections which I will make on the proof & several more large ones which you didn't mention. Your criticisms were excellent & most helpful & you picked out all my favorite spots in the book to praise as high spots. Except you didn't mention my favorite of all—the chapter where Gatsby & Daisy meet. Two more things. Zelda's been reading me the cowboy book aloud to spare my mind & I love it—tho I think he learned the American language from Ring rather than from his own ear. Another point—in Chap. II of my book when Tom & Myrte go into the bedroom while Carraway reads Simon called Peter—is that raw? Let me know. I think it's pretty necessary. I made the royalty smaller because I wanted to make up for all the money you've advanced these two years by letting it pay a sort of interest on it. But I see by calculating I made it too small—a difference of 2000 dollars. Let us call it 15% up to 40,000 and 20% after that. That's a good fair contract all around. By now you have heard from a smart young french woman who wants to translate the book. She's equal to it intellectually & linguisticly I think—had read all my others—If you'll tell her how to go about it as to royalty demands ect. Anyhow thanks & thanks & thanks for your letters. I'd rather have you and Bunny like it than anyone I know. And I'd rather have you like it than Bunny. If its as good as you say, when I finish with the proof it'll be perfect. Remember, by the way, to put by some cloth for the cover uniform with my other books. As soon as I can think about the title I'll write or wire a decision. Thank Louise for me, for liking it. Best Regards to Mr. Scribner. Tell him Galsworthy is here in Rome.